Fishing leaders have warned ministers they “will not be forgiven” if the promises of Brexit are not delivered to the industry. At a meeting in Parliament yesterday, industry bosses told the new fishing minister Robert Goodwill that they were watching developments “very carefully” after Theresa May announced she would be seeking a further extension to Article 50. Mike Park, chief executive of the Scottish White Fish Producers Association, said: “We’re almost getting into DEFCON 4 in terms of danger for the industry”. Mr Park, along with other industry leaders, is fearful that a long extension could result in the sector being traded away. 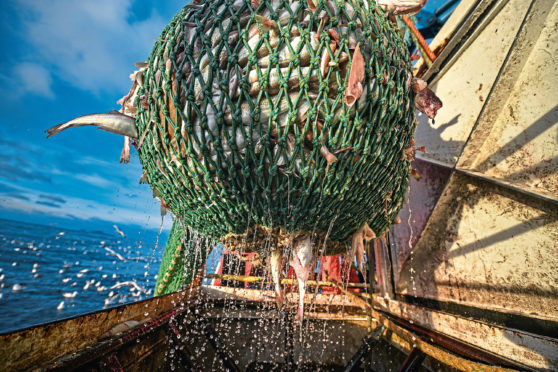 Bertie Armstrong, chief executive of the Scottish Fisherman’s Federation, said: “The benefits have been outlined that will come from getting the other side of Brexit. “The date that we settled upon in the Withdrawal Agreement, after some argument and discussion, was the end of 2020. Tory MP George Eustice, who quit as fishing minister in February, told the Press and Journal that a long extension presented a “real danger” for the industry. Mr Eustice said there now needed to be compromise and added: “I think from the point of view of the fishing industry a Norway style option by rejoining the Efta pillar and staying in the EEA is probably the quickest and swiftest way to become an independent coastal state. Mr Goodwill, opening the event, said: “We have the chance to seize the sea of opportunity available to us and grow our fishing and seafood industries, a task to which I am looking forward to.